If you need a Digitize VHS tapes and Cassettes for Computer Playback and Editing service, then contact our friendly company. 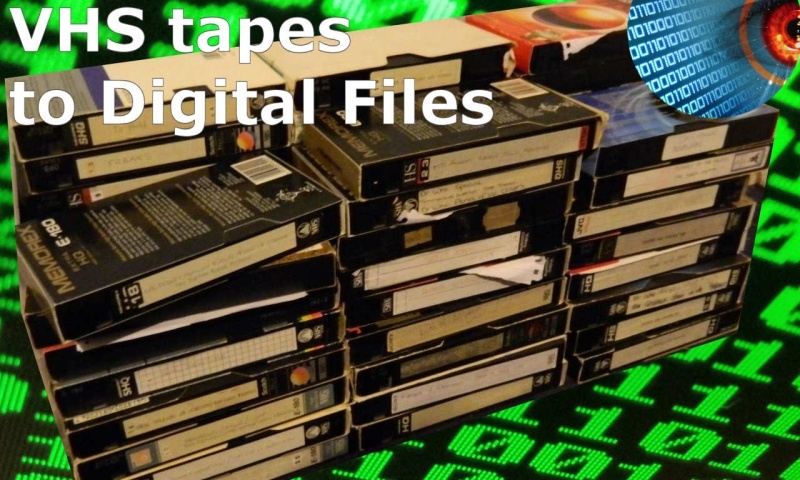 We can digitize VHS tapes and Cassettes for Computer Playback and Editing. We convert VHS to digital formats saving at the highest quality so you don't loose detail in the resulting file. This can usually enable you to edit and create your own DVDs. In addition it can be converted for playback on smart phones, Samung Galxy, iPad iPhone Apple Mac and Windows PC computers. This is great for saving to laptops and USB hard drives or flash memeory sticks for portable playback of Wedding Anniversary parties and baby birthday child memories and events.